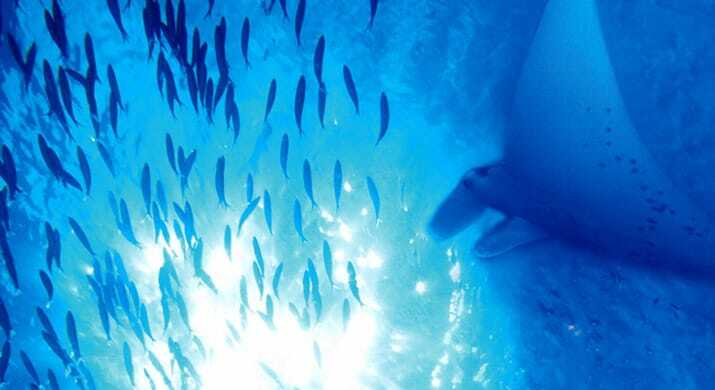 The waters around Mantaray Island Resort are an internationally recognized refuge for Manta Rays. With or without these creatures present, the diving is outstanding all year round and shouldn’t be missed! But, each year between May and October the waters are blessed with the elegance of the Pacific Manta Ray. So if you do have the freedom to plan, then hit their season! 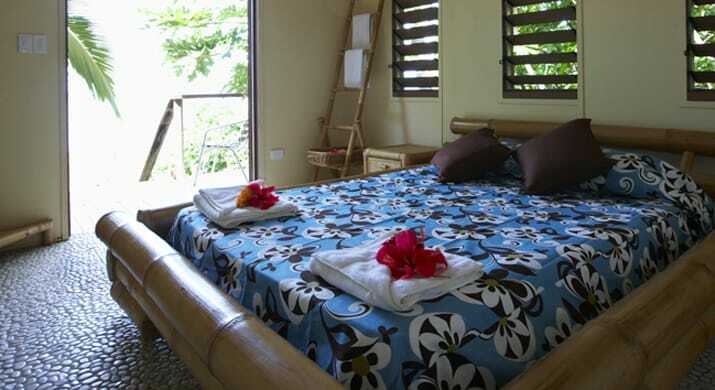 As many as thirteen manta rays have been recorded in front of the resort at one time. Daily snorkelling trips allow visitors to experience these magnificent creatures up close as they glide majestically through the nutrient rich channel just around the corner. This strait can’t be dived, but the reefs just outside sports over 25 dive sites, and they certainly can. In these Pacific waters you will find sublime visibility and an extremely colourful marine life hanging out on healthy reefs. The house reef just in front of the beach is a perfect example of the wealth in this area. It is on this beach that your first experience in diving will take place! 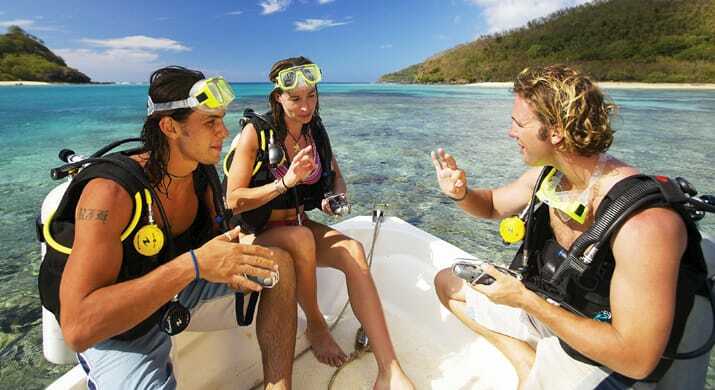 Together with your instructor you will dive this easy accessible beach with all its life and colour. 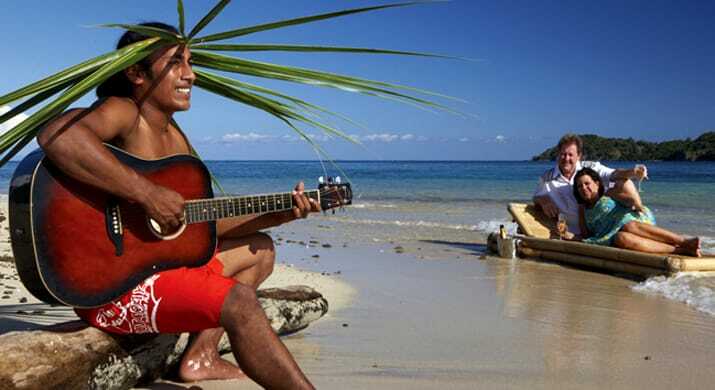 You will slowly grow with your course that is conducted in a safe and relaxed environment on a very special island. 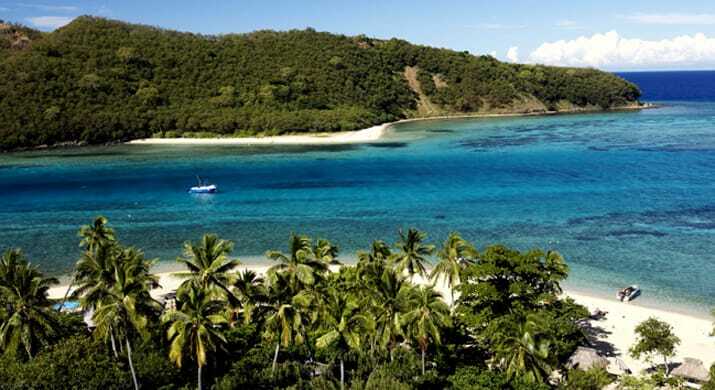 Mantaray Island Resort is an environmentally friendly resort, from the toilet systems to the reef awareness programs. 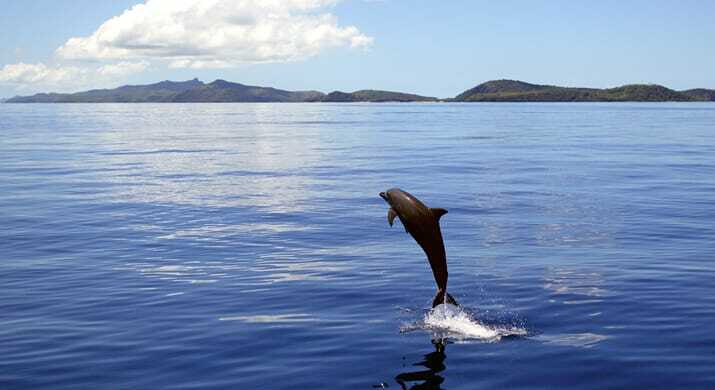 It simply ensures that you can come back to Mantaray Island over and over again and experience the same incredible atmosphere. 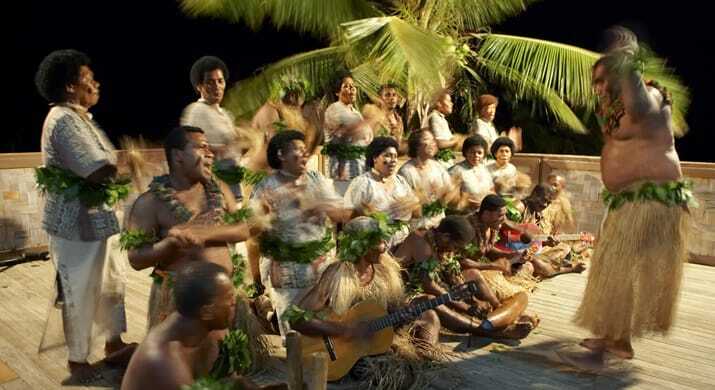 And as for the atmosphere, you will find a young and lively crowd with all cool activities on hand. 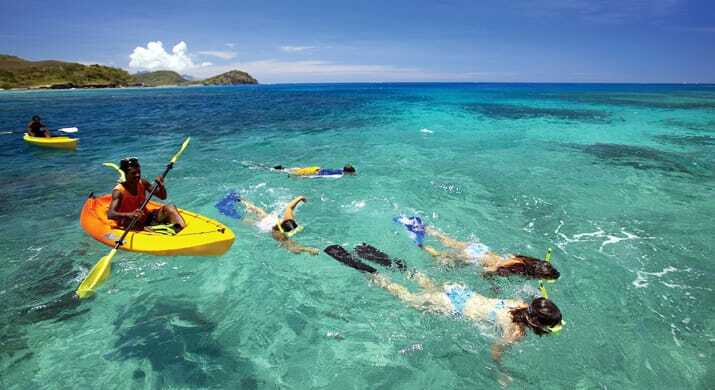 Chill out during the day with kayaking, snorkeling, diving or the popular sun tanning. 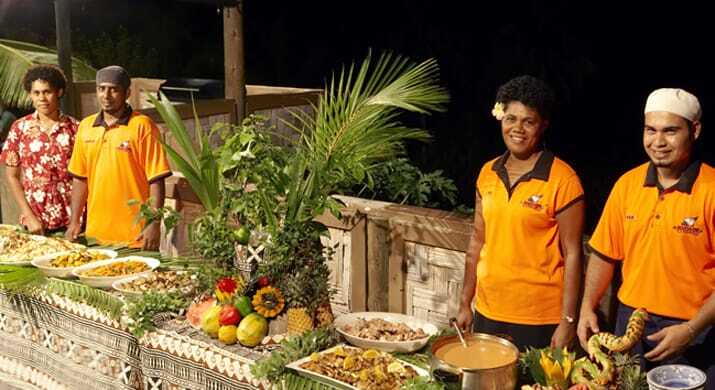 Enjoy a laugh in the evening with new friends as you try out some local Fijian dance moves or put a bet on your favorite crab in the crab races, whatever it is you’re into, it is the perfect place to mix it up! Dorm room, fan and sea breeze. Don’t worry, it is a cool dorm room!